Here are Tahitian Rum Punch and Banana Banshee Recipies for your New Year's Eve party! Whip up some rum-soaked nog for your Christmas gathering! Complete instructions, free! I’m saving our weekly Mod Movie Monday for Wednesday this week, in order to post something for Pearl Harbor Day. Tiki Stocking Stuffer Idea…Tropical Fruit??? Sure! Tiki Stocking Stuffer Idea&#8230;Tropical Fruit??? Sure! Looking for a Fun Tiki Party for New Year&#8217;s Eve? If you&#8217;re in California, go to Don The Beachcomber&#8217;s Waitiki! That's right kids, Friday, October 1 is International Exotic Cocktail Day. Check it out at Tiki Lounge Talk! From now through Halloween, each week Mod Movie Monday at Tiki Lounge Talk will feature a new vintage horror movie for your viewing pleasure. Full List of Tiki Lounge Talk's Mod Movie Mondays updated! Pull up a cocktail, sit back and let your orbs reel it in, baby. Here's your weekly vintage/retro/mod movie recommendation, swingers! This week's flick was written by Roger Ebert and directed by Russ Meyer. 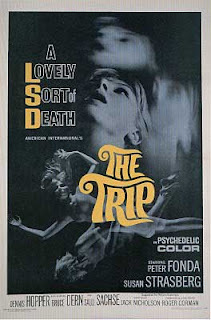 It's a groovy, crazy, far-out Hollywood scene, man! Check it out with photos, commentary, video and of course dinner & cocktail suggestions at Tiki Lounge Talk. Get a new Tiki Bar-worthy drink recipe every weekend at Tiki Lounge Talk. This week:The Sweet Caroline, a Midori drink with a kick. 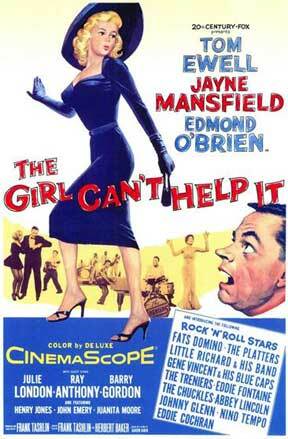 Every Monday I post a new vintage, retro or mod movie for Mod Movie Monday. This week it's The Cotton Club from 1984. Check it out at Tiki Lounge Talk dot com. As Jazz Appreciation Month (suitably monikered “J.A.M”) comes down to the last few bars, I thought I throw in a few riffs of my own. Read the full article here: http://tikiloungetalk.com/2010/04/30/jazz-appreciation-month-this-kats-two-cents/ Comments welcome! 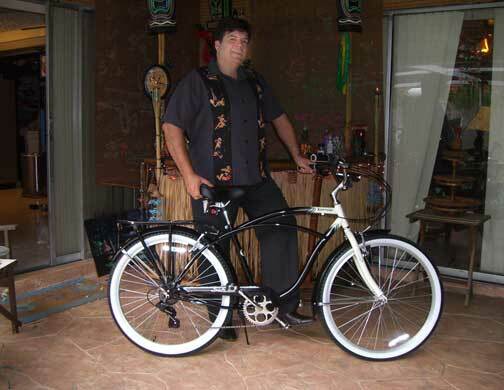 New Post at Tiki Lounge Talk: The Retro Schwinn Riverside Bike! 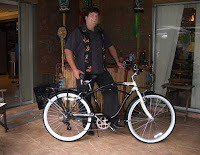 Check out these groovy pix of this retro-matic bike in front of the tiki bar! New Mod Movie Monday at Tiki Lounge Talk, the hipster's swingin' net pad for throwing a groovy tiki culture party, baby! 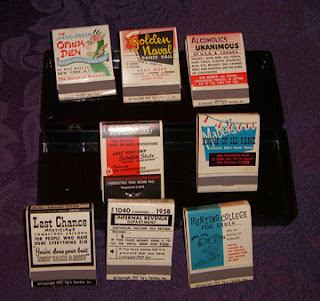 at Tiki Lounge Talk, the hip Tiki Blog for Retro Lifestyle Lovers and Tiki Culture Connoisseurs! Retro Fun! "Very Important Places" joke matchbook set from 1957 at the THE Tiki Blog for Tiki Culture and Retro Culture, Tiki Lounge Talk! Murder Behind the Closet Door by Christopher Pinto now available! Murder Behind the Closet Door written by Christopher Pinto now available in paperback! "Murder Behind The Closet Door" is a murder murder mystery ghost story that keeps you engaged and guessing from the first paragraph. Creepy, riveting, this story reveals another existence, one just beyond our own, where the occult and the paranormal meet reality and everyday people find themselves swept into very extraordinary circumstances. Now Playing at Tiki Lounge Talk: The Girl Can't Help It, 1956, Mod Movie Monday. Tiki Lounge Talk is your hot spot for Tiki Culture & Retro Fun! 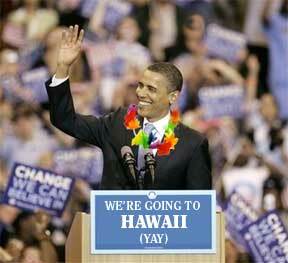 Thursday, April 1, 2010: In an unprecedented Presidential move, President Barack Obama announced today that he’ll be moving the Legislative and Congressional branches of the United States to his native island of Hawaii. Posted on April 1st, 2010 Mack "Tiki Chris" Pinto See the Full Article At Tiki Lounge Talk! Recent post, "Enjoy That Tropical Drink, Kiddo" was meant to inspire everyone to take a few minutes mid-week to enjoy the good things in life, specifically an exotic cocktail. Tiki Lounge Talk is the place for hipsters, flipsters and all-night tripsters who are into the Tiki Scene, the Retro Scene or just dig some fun stories. Find out the real story of St. Patrick - he wasn't Irish, he was Tahitian! Tiki Lounge Talk has been nominated for a Best of Blog Award! Please vote for Tiki Lounge Talk in the South Florida Sun-Sentinel's Best of Blog Awards! We've been nominated in three categories, so go ahead and vote for all three! Brrrr…Chilly at the Tiki Bar, Time for a Warm Rum Drink! Join the Tiki Lounge Facebook Fanpage! 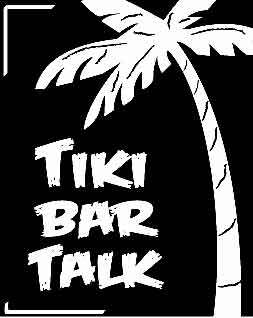 Tiki Retro Lounge, the facebook face of Tiki Bar Talk! OUR MAN FLINT - Mod Movie Mondays at the Tiki Blog, Baby!